Time can be a difficult variable to visually convey in still photography, both the length of time an exposure takes or a series of photos meant to depict the passage of time can be somewhat ambiguous without a written explanation. 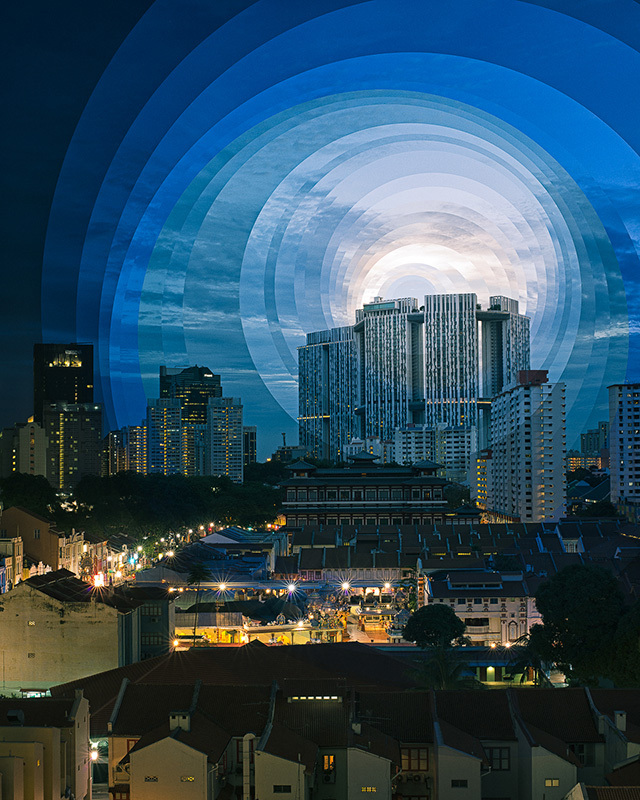 In his latest series, Time is a dimension, Singapore-based photographer Fong Qi Wei (previously) explores just that idea by shooting landscapes from a stationary position over a 2-4 hour period and then digitally slicing the images to create a layered collage. 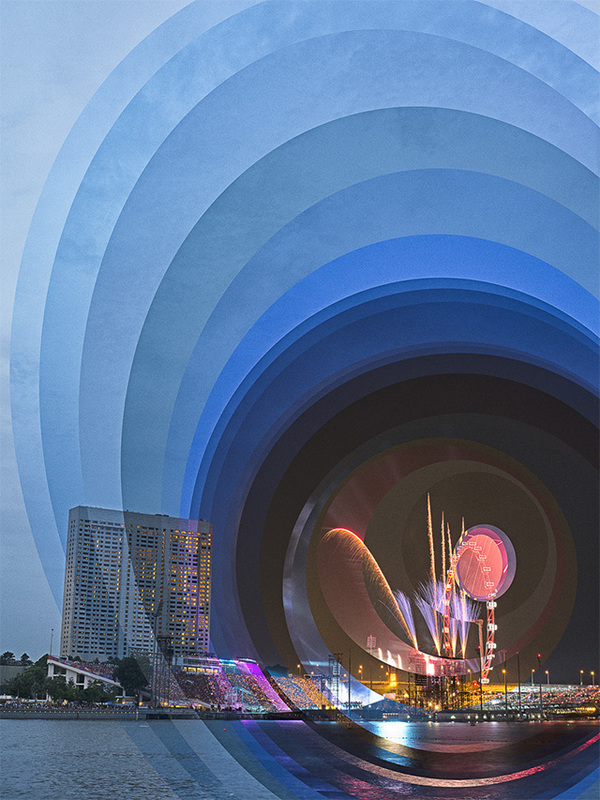 He shoots at sunset or sunrise to obtain a wide variation in light and then carefully cuts each image to reveal incremental timeframes. He explains: The basic structure of a landscape is present in every piece. But each panel or concentric layer shows a different slice of time, which is related to the adjacent panel/layer. The transition from daytime to night is gradual and noticeable in every piece, but would not be something you expect to see in a still image. Similarly, our experience of a scene is more than a snapshot. We often remember a sequence of events rather than a still frame full of details. In this series, I strive to capture both details and also a sequence of time in a single 2 dimensional canvas. I hope it gives you pause and reconsider what you experience versus what you shoot with your next camera phone.